AlphaCard Blog - What’s the difference between HiCo and LoCo magnetic stripe cards? If your ID program requires the use of multifunctional magnetic stripe cards, you have two options: HiCo or LoCo cards. What separates HiCo and LoCo cards is not the amount of data they can carry, but rather how secure and durable they are. Both card types can be encoded with the same amount of data. The key difference is that HiCo magnetic stripe cards are encoded with a stronger magnetic field that makes them more suitable for secure applications and those where the cards must be frequently swiped. With HiCo cards, encoded data is less likely to be erased when exposed to an outside magnetic field. This leads to longer card life, and keeps card information well-protected. 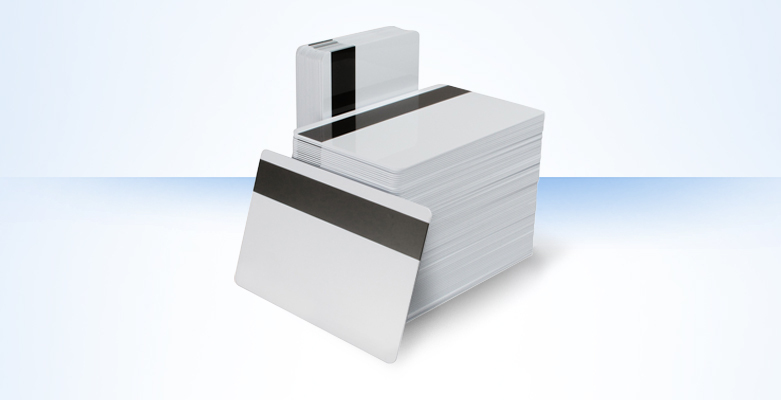 HiCo magnetic stripe cards are extremely popular for such applications as credit and debit cards, access control, employee IDs, time and attendance, and library cards. LoCo magnetic stripe cards are ideal for short-term applications where high security and long-lasting card life are less of a concern. The magnetic stripes on these cards are more of a brownish hue, while HiCo mag stripes are almost black in color. LoCo cards use a lower intensity magnetic field and are used for a variety of applications including gift cards, membership and loyalty cards, transit passes, hotel room keys, theme park passes, grocery club cards, and many more. Alpha Card carries a full selection of HiCo and Loco magnetic stripe cards. If you need to stock up on mag stripe cards for your ID program, visit our online store or give us a call for more information. By Keisha|2019-02-08T22:13:39+00:00January 19th, 2010|AlphaCard Company News, AlphaCard Products in Action, Blank Cards, ID Printing Technology, Product Spotlight, Products, Technology|Comments Off on What’s the difference between HiCo and LoCo magnetic stripe cards?